The slasher's director has teased new information on the Shape. Michael Myers is about to make his return to Haddonfield, but it seems like not much has changed. When the infamous slasher Halloween hit theaters back in 1978, not much was known about the masked killer Michael Myers. Since the first movie’s release, the air of mystery was quickly taken away as more sequels, a backstory of Myers, came to be. While we may know more about Michael from the franchise’s many sequels, that doesn’t appear to have phased the creators of the forthcoming sequel. 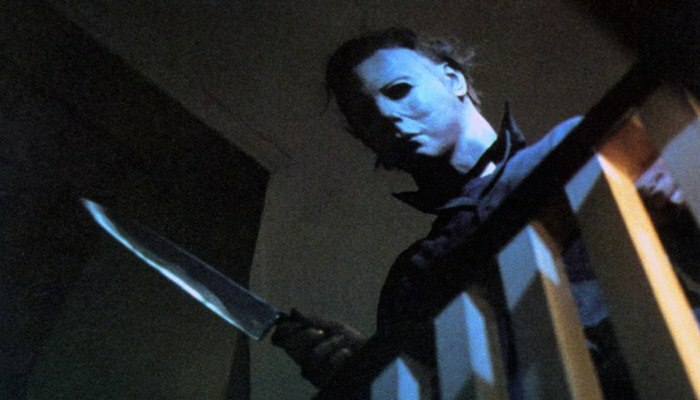 As we know, the 2018 Halloween is set to ignore every film besides the very first one, essentially taking away everything long-time fans know about the masked killer, something that Director and co-writer David Gordon Green thought tried to recreate. We recently found out the Green’s take on the ’78 slasher isn’t a reboot, more-so a “reinvention” of the first film. In a prior interview with Variety, the film’s producer Jason Blum wants fans to know that this new film isn’t a reboot of the horror movie franchise. “The Shape” has finally made his long-awaited return, and besides the nightmares that he’s sure to bring, he’ll also be bringing scream queen Jamie Lee Curtis, the shape himself Nick Castle, and the mastermind behind it all, John Carpenter with him. Castle will reprise his role as Myers along with newcomer James Jude Courtney who was recruited to give the shape quick, cat-like movements. While we’re not sure what to expect from Myer’s new cat-like qualities, we do know that the film is going to feature one giant battle between the infamous slasher and his victim Laurie Strode. That’s right, the new film is set to bring audiences back to Haddonfield one more time, almost 40 years later, to see the final battle between Laurie Strode and Michael Myers. Of course, the films have had a long history and with this reboot, it appears that fans will have to forget everything that happened in the franchise’s previous plot lines, including those of Rob Zombie‘s 2007 and 2009 remakes. Be sure to watch the Halloween reboot when it hits theaters Oct. 19.